THE FOURTH ANNUAL ‘GOOD COUNTRY INDEX’ has placed Finland as the number one country in the world for making “a positive contribution to humanity”, based on a number of metrics such as prosperity, scientific achievement, and contributions to global stability. The country saw off close competition from Ireland, Sweden, Germany, and Denmark for the top spot, emerging as a clear winner in categories such as press freedom, foreign direct investment (FDI) abroad, and cybersecurity. Finland’s foreign minister, Timo Soini, will be collecting an award during the World Economic Forum (WEF) in Davos this week. The index, started in 2015, was created by a team of leading policymakers, economists, and academics with the intention of “starting a global debate about what countries are really for”. It is hoped that national governments will take notice of how their own country delivers a net benefit to mankind and focus less on metrics such as GDP growth and military expenditures. This year marks the first time that Finland has topped the rankings, although the country has found itself in the top 10 every year since the index was launched. The country fared best in the ‘prosperity and equality’ category, which is measured by contributions to international aid, FDI outflows, free trade policy, and the number of UN volunteers abroad. Finland did, however, fare poorly in the ‘international peace and security’ category, coming in 51st out of the 151 countries assessed. This has been attributed to the fact that Finland remains a significant global exporter of arms and surveillance technology, which has helped fuel conflict and repression in various countries. While Finland’s contribution on the global stage may be outstanding, other rankings have painted a different picture for foreigners in Finland. According to the latest ‘Ease of Settling In Index’, which ranks how expats adapt to their adoptive countries, Finland ranks close to last in the “ease of making friends” category. 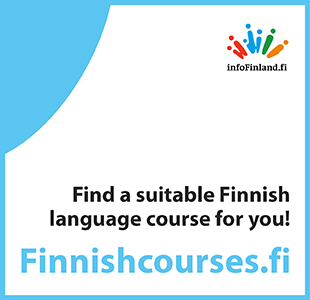 New arrivals have consistently ranked Finland as one of the worst countries in the world for socializing and making friends with the local population, with thousands of surveyed expats ranking Finns as the most “rational and distant” people in Europe. Finland also ranks poorly when it comes to the cost of living and the availability of leisure activities, which in turn makes socializing increasingly prohibitive. Helsinki continues to be one of the world’s most expensive cities for recreational activities, with the country generally performing poorly when it comes to the availability of leisure. Finland’s contribution on the world stage may be admirable, but there is clearly still work to be done at home.